Miramichi Transit is offering advertising options on our buses and 36 bus shelters located throughout the city. 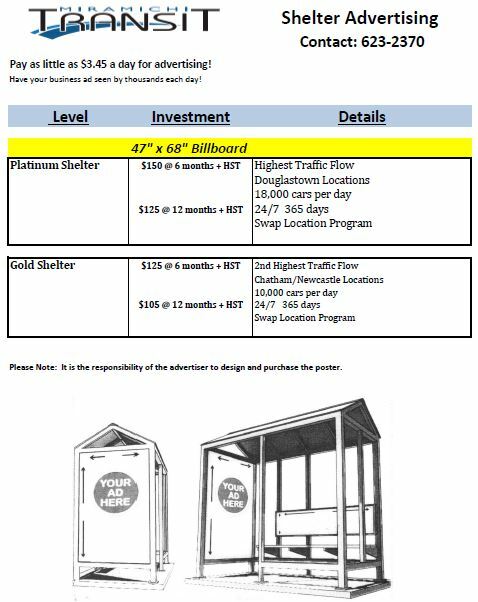 The cost for effective advertising in our bus shelters can be as low as $3.45 a day! Call 623-2370 today or email manager@miratransit.com to take advantage of great advertising options.